We are back from our Royal Caribbean cruise vacation and let me just start off by saying "whew". We had a blast but man that was a long and busy vacation. 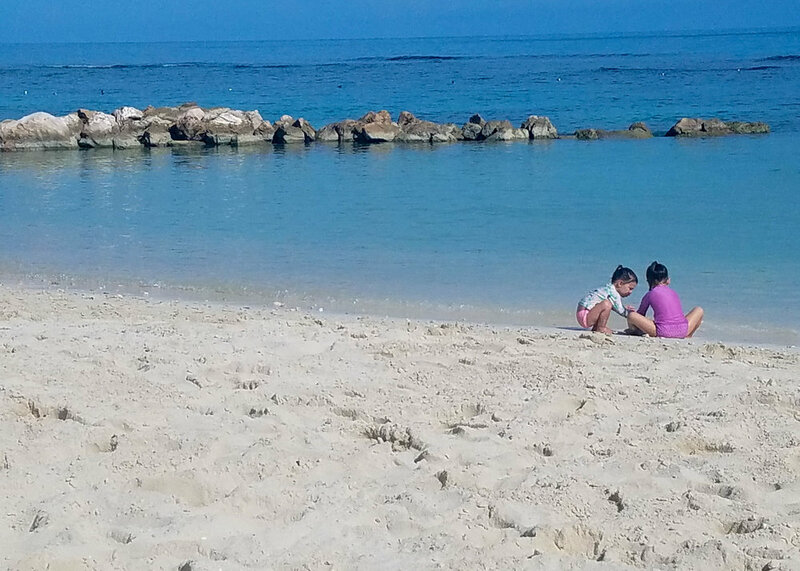 A cruise with kids is much different than one without. I remember cruises pre-kids that were so relaxing, I would get through two books in a week. Vacations just look different these days but it was fun. I wanted to share a few pictures and give a super quick run-down of our trip. We went on the Allure of the Seas ship and it was huge! There was seven different neighborhoods on the ship, a carousel, a splash pad (that was CLOSED! Insert angry emoji here), and so much more. We went to a show every night and most days. We rode the carousel more times than we can count. We took a stroll through Central Park and we ate a ton of great food. The vacation started out with a day at sea, headed to Labadee, Haiti. This town is owned by Royal Caribbean so while it wasn't truly an authentic Haiti experience, it was a beautiful beach with gorgeous waters. This was my favorite stop. After Haiti, we stopped in Jamacia. There wasn't a ton to do here that was kid-friendly so after a quick shopping trip around the square at the port, we were back on board for lunch and some time around the ship. Our last stop was in Cozumel, Mexico. 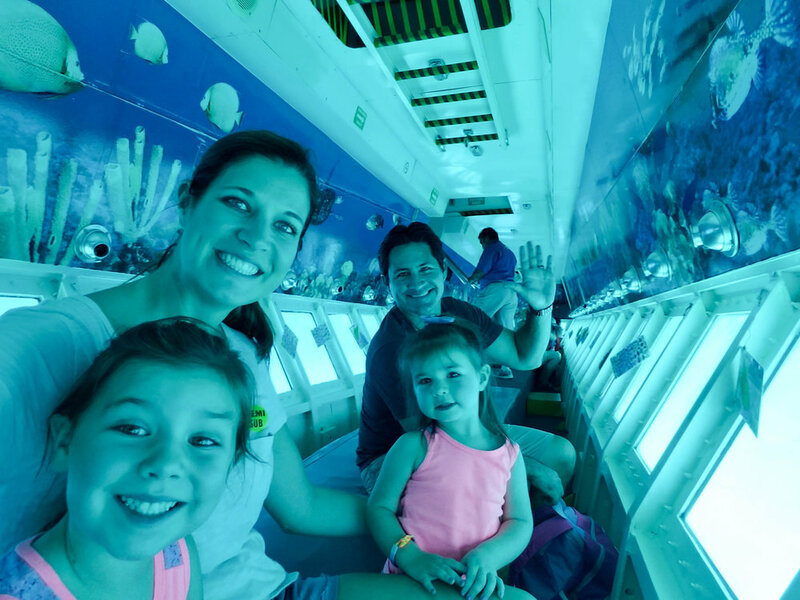 Here we did sign up for an excursion that sounded fun for the kids, a semi-submarine boat to look at a reef and fish. From the top, the boat appears normal, then you walked down into the hull. There was seating and windows all around. This in theory sounded great and the kids did love it but I will say that I did not. I've only ever been sea sick one other time but this boat made me feel so sick!! We were going extremely slow but the movement of the boat and looking out into the water was the worst combination! Thankfully, it was only a little over an hour and we were back on dry land. We did a little shopping here as well and watched a little performance from some street entertainers. Overall, the trip was great. We learned that Macie absolutely loved the ice skating shows. We are planning to try an open skate here in town soon. We also learned that while it was a fun trip, if Macie had been three it would have been even better. It seems like everything that she would have loved to do (ice skating, kids club with Henley) all required her to be three. Next time should be even better! We got back yesterday and it's October friends! I decorated the house in addition to unpacking, laundry, and grocery shopping. I am already in full on Fall mode and am so excited for the months ahead. I have a Fall Bucket list coming soon along with some fall recipes that I love to make each year. I missed you guys and I'm glad to be back. How was your week? **If you enjoy my blog, please share it with your friends on social media. I love sharing and engaging with you all so much---it truly makes my day.